Draft: 2003, San Diego Padres, 29th rd. Steven Edward Delabar… he and his wife, Jamie have 2 children, Adley and Jack… pitched one season at Volunteer State Community College in Gallatin, TN…graduated from Central Hardin High School in Elizabethtown, KY in 2002…was selected by LAA in 43rd round of 2002 MLB Draft but did not sign…worked as a substitute teacher and assistant baseball coach at Central Hardin High School in 2010 after having elbow surgery…while implementing an arm program for the high school pitchers, discovered that his own throwing velocity had increased significantly…was signed by SEA after tryout in April 2011. Was signed to a minor league contact by CLE on 1/13 and had a 6.48 ERA (6 ER/8.1 IP) in 8 Major League spring training games… 80-game suspension for violation of the MLB Drug Prevention and Treatment Program was announced and implemented on 4/24…had opened season on Columbus (AAA) roster but did not pitch while appealing suspension… was reinstated from MLB suspended list on 7/3 and released by CLE…did not sign with another organization…last ML appearance was for CIN on 5/21/16 vs. SEA. Went to spring training with the Blue Jays and in 8 apps posted a 2.35era before he was released on 3/1 (7.2ip, 5h, 3bb, 8k, 1hr)...was signed by the Reds to a minor league contract on 4/2 after throwing a bullpen prior to their exhibition game vs the Pirates in Indianapolis...on 5/7 was promoted from Louisville along with RHP Drew Hayes after RHP J.J. Hoover was optioned to Louisville and RHP Jon Moscot was disabled with left shoulder inflammation...following his appearance on 5/21 vs Sea was designated for assignment...4 days later cleared waivers and accepted an outright assignment to Louisville...made 8 more apps for Louisville before he was released on 6/24. Had two separate stints with the Blue Jays in 2015. • Through June 30 posted a 1.31 ERA with a .145 opp. avg. in 21 games (20.2 IP)...ERA jumped to 14.54 with a .419 opp. avg. over his final 10 contests (8.2IP). • Spent the balance of his season with Buffalo (AAA), holding opponents to a .140 average while recording a 3-1 record with a 1.42 ERA...The ERA was 2nd on club amongst bullpen members (Tepera-1.06 ERA). • Collected his only save on June 24 at TB, his first since July 13, 2013. Appeared in 30 games with the Blue Jays before being sent to Buffalo (AAA)… Posted a 4.91 ERA (14ER/25.2IP) over those contests with 19 walks and 21 strikeouts … Was recalled June 19 appearing in one game (1ER/0.2IP) before being sent back to the Bisons. Posted a record of 3-0 with 12-holds prior to his demotion. Was struck in the right leg by a line drive in the 9th inning April 9 vs. HOU… Did not pitch in the following two games before returning to action April 11 at BAL, tossing a scoreless inning. Earned his first win of the season April 18 at CLE (0.2, BB, K). Only three of his 20 inherited runners scored. Made his third career Opening Day roster. In 24 games with Buffalo posted a 2.89 ERA, allowing nine earned runs over 28.0 innings… Over those 28 innings recorded 38 strikeouts and 18 walks, with a .208 opposition average. From June 7-July 1, a span of 10.0 innings over 10 games, struck out 24 of the 44 batters faced…Fanned seven consecutive batters over two appearances June 29-July 1. Did not allow an earned run over 14.0 consecutive innings spanning 13 appearances from May 28 vs. ATL through July 9 at CLE when he allowed one earned run in the 8th inning. Named to his 1st career All-Star team, selected by the fans as the final player voted on the team…Struck out the only batter he faced (B.Posey). His 82 strikeouts ranked T-6th among AL relievers and was tops among the Blue Jays bullpen…His 12.58 strikeouts per nine innings was 5th among AL relievers this season. Posted a 1.71 ERA (8ER/42.0IP) prior to the all-star break…Had a 7.02 ERA (13ER/16.2) following the Mid-Summer Classic. Had a 1.72 (6ER/31.1) on the road compared to a 4.94 ERA (15ER/27.1) at home. His five wins marked a career-high and tied him with Brett Cecil for most victories by a reliever on the club. In 61 games between Seattle and Toronto posted a 4-3 record with a 3.82 ERA...Was acquired by the Blue Jays on July 31 from Seattle for OF Eric Thames...Overall held opponents to a .193 average... With Seattle, opponents batted .177 and struck out 11.3 batters per nine and with Toronto, held opponents to a .213 average while fanning 14.1 per nine...Worked 2.0+ innings in nine games... In those outings had a 0.50 ERA with 32 strikeouts in 18 innings (18.0IP, 4H, 1ER, 8BB, 32K)... In fact allowed hits in just two of the nine games...Was much better when rested... In 24 games with two or more days rest posted a 1.72 ERA (31.1IP/6ER)... When pitching on back-to-back days or with just one days rest, posted a 5.71 ERA in 37 games (34.2IP/22ER)...Was dominant at home holding opponents to a .155 average, posting a 4-1 record with a 2.25 ERA... On the road opponents batted .211 while going 0-2 with a 5.70 ERA...Recorded a strikeout per nine total of 12.55 on the season... That total was the highest in the AL for any picther with a minimum of 60 innings...On Aug. 13 struck out six without allowing a hit in two innings... Became the first pitcher in Major League history to record four strikeouts in one frame during extra innings... Also became the first pitcher in franchise history to strike out four batters in one inning. Split season between four levels of Mariners organization: A High Desert, AA Jackson, AAA Tacoma and Seattle Mariners...Was 1-1, 2.57 ERA (2 ER, 7.0 IP) with 7 strikeouts in 6 relief appearances for the Mariners...Made ML debut Sept. 11 vs. Kansas City, striking out Alex Gordon & Melky Cabrera...Earned first ML win Sept. 14 vs. New York (AL) in Seattle with a scoreless 12th inning...With AAA Tacoma was 1-1, 0.69 ERA (1 ER, 13.0 IP) with 18 strikeouts in 10 relief appearances...With AA Jackson was 1-3 with 12 saves and 2.05 ERA (7 ER, 30.2 IP) with 30 strikeouts in 23 relief appearances...Began season with High Desert, was 1-1 with 3 saves and 4.38 ERA (6 ER, 12.1 IP) with 20 strikeouts in 7 relief appearances...Signed by the Mariners as a minor league free agent on April 20, 2011...was a substitute teacher in Kentucky prior to signing with Seattle...Had not pitched above the Single-A level prior to this season, and did not pitch in 2010 recovering from a fractured right elbow. Did not play professional baseball recovering from a broken right elbow. Appeared in 12 games (3 GS) for Brockton in the CanAm League...went 3-3 with a 3.76 ERA (11 ER, 26.1 IP)...suffered a broken right elbow and was released on June 30. Made 11 relief appearances with Fort Wayne (2-1, 5.27) before being released by the Padres on May 23...on the disabled list April 23-May 16 with a sprained left ankle...played for two independent league teams, Florence (Frontier League) and Brocton (CanAm League). Split the season between Fort Wayne and High-A Lake Elsinore in the California League...pitched exclusively out of the bullpen for Lake Elsinore (2-6, 5.59). Posted an 8-9 record with a 3.41 ERA (55 ER, 145.0 IP) in 27 starts for A Fort Wayne in the Midwest League...ranked 4th among Padres minor leaguers in strikeouts (118) and 6th in ERA (3.41)...held opposing batters to a .242 average (129x533). Spent entire season with Eugene...went 4-6 with 4.76 ERA (40 ER, 75.2 IP)...tied for Northwest League lead in games started (16). Signed with San Diego on May 5 as a draft-and-follow and assigned to the RookieArizona League...ranked 2nd on team with 39 strikeouts...promoted to Eugene in the Northwest League on Aug. 22...made 3 starts going 1-1, 2.65 (5 ER, 17.0 IP). April 20, 2018 Round Rock Express released RHP Steve Delabar. 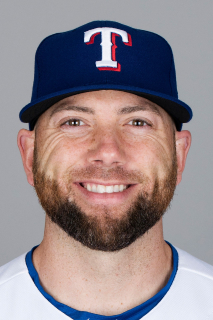 January 4, 2018 Texas Rangers signed free agent RHP Steve Delabar to a minor league contract and invited him to spring training. January 4, 2018 RHP Steve Delabar assigned to Round Rock Express. July 5, 2017 Columbus Clippers released RHP Steve Delabar. April 24, 2017 Columbus Clippers placed RHP Steve Delabar on the restricted list. April 6, 2017 Columbus Clippers placed RHP Steve Delabar on the temporarily inactive list. January 20, 2017 RHP Steve Delabar assigned to Columbus Clippers. January 13, 2017 Cleveland Indians signed free agent RHP Steve Delabar to a minor league contract and invited him to spring training. June 25, 2016 Louisville Bats released RHP Steve Delabar. June 22, 2016 Louisville Bats placed RHP Steve Delabar on the temporarily inactive list. May 24, 2016 Cincinnati Reds sent RHP Steve Delabar outright to Louisville Bats. May 22, 2016 Cincinnati Reds designated RHP Steve Delabar for assignment. May 7, 2016 Cincinnati Reds selected the contract of RHP Steve Delabar from Louisville Bats. April 3, 2016 RHP Steve Delabar assigned to Louisville Bats. April 2, 2016 Cincinnati Reds signed free agent RHP Steve Delabar to a minor league contract. March 29, 2016 Toronto Blue Jays released RHP Steve Delabar. October 24, 2015 Toronto Blue Jays activated RHP Steve Delabar. October 8, 2015 Toronto Blue Jays reassigned RHP Steve Delabar to the minor leagues. September 8, 2015 Toronto Blue Jays recalled RHP Steve Delabar from Buffalo Bisons. July 25, 2015 Toronto Blue Jays optioned RHP Steve Delabar to Buffalo Bisons. May 4, 2015 Toronto Blue Jays recalled Steve Delabar from Buffalo Bisons. March 26, 2015 Toronto Blue Jays optioned RHP Steve Delabar to Buffalo Bisons. September 29, 2014 Toronto Blue Jays recalled Steve Delabar from Buffalo Bisons. June 20, 2014 Toronto Blue Jays optioned RHP Steve Delabar to Buffalo Bisons. June 19, 2014 Toronto Blue Jays recalled Steve Delabar from Buffalo Bisons. June 17, 2014 Toronto Blue Jays optioned RHP Steve Delabar to Buffalo Bisons. September 1, 2013 Steve Delabar roster status changed by Toronto Blue Jays. August 30, 2013 Toronto Blue Jays sent RHP Steve Delabar on a rehab assignment to Dunedin Blue Jays. August 28, 2013 Toronto Blue Jays sent RHP Steve Delabar on a rehab assignment to GCL Blue Jays. August 4, 2013 Toronto Blue Jays placed RHP Steve Delabar on the 15-day disabled list retroactive to August 3, 2013. Right shoulder inflammation. July 31, 2012 Toronto Blue Jays traded RF Eric Thames to Seattle Mariners for RHP Steve Delabar. July 18, 2012 Seattle Mariners recalled Steve Delabar from Tacoma Rainiers. July 17, 2012 Seattle Mariners optioned Steve Delabar to Tacoma Rainiers. June 29, 2012 Seattle Mariners recalled Steve Delabar from Tacoma Rainiers. June 16, 2012 Seattle Mariners optioned Steve Delabar to Tacoma Rainiers. June 13, 2012 Seattle Mariners recalled Steve Delabar from Tacoma Rainiers. May 31, 2012 Seattle Mariners optioned Steve Delabar to Tacoma Rainiers. September 6, 2011 Seattle Mariners selected the contract of Steve Delabar from Tacoma Rainiers. August 5, 2011 Steve Delabar assigned to Tacoma Rainiers from Jackson Generals. May 28, 2011 Steve Delabar assigned to Jackson Generals from Everett AquaSox. May 26, 2011 Steve Delabar assigned to Everett AquaSox from Jackson Generals. May 25, 2011 RHP Steve Delabar assigned to Jackson Generals from High Desert Mavericks. May 1, 2011 Steve Delabar assigned to High Desert Mavericks from Seattle Mariners. April 30, 2011 RHP Steve Delabar assigned to Seattle Mariners.